For 35 years I’ve cried at the end of each and every summer. In my teenage years my parents would drive away from Chadwick Beach, New Jersey as I cried with sand still sticking to my toes. This year, my 36th summer was far from any scene Norman Rockwell would have wanted to capture! My kids seemed to take up sibling arguing as their summer hobby, my parent’s beach house at the Jersey Shore sat completely gutted and unusable thanks to last October’s hurricane, my son broke his arm, and as the lyrics of It’s a Small World say it best, our trip to Disney seemed to bring out “A world of tears” in my daughter! TaNTrUmS, ScReAmInG, and BrEaKdOwNs were everyday occurrences for my kids (and sometimes Mommy). 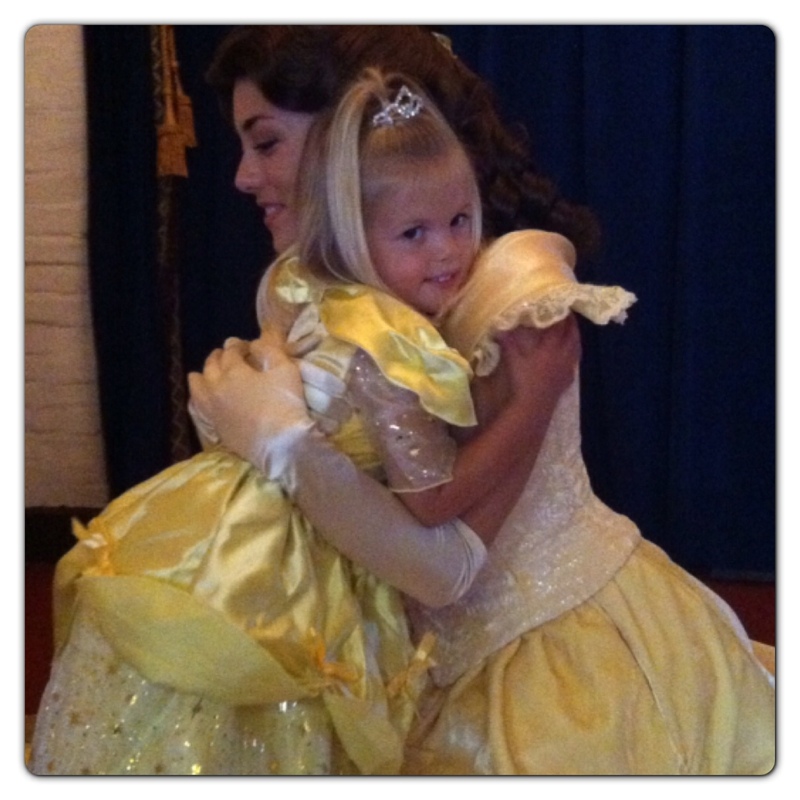 On our Disney vacation, the low-point was my daughter Abby while decked out head to toe in her Belle costume screaming at the top of her 4-year-old lungs, “You’re a mean Mommy!” Why you might ask? All because I wouldn’t let her walk on a ledge that she wanted to use as a balance beam! MeAn MoMmY!!! Where was this kid when her MeAn MoMmY was packing 3 princess dresses complete with tiaras and light up shoes, a Tinker Bell costume with light up wings and shoes that jingle, and countless other Disney “necessities”?!!! This is just so you can get an image of the Belle ensemble! Then the high-point. 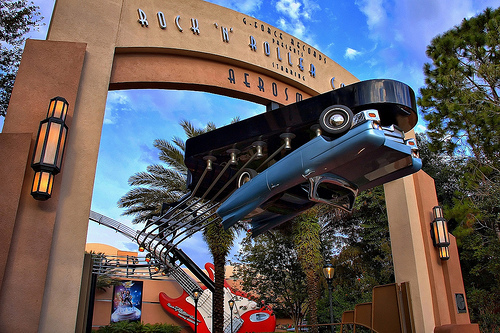 If you’ve ever been to Disney World’s Hollywood Studios you know you can’t top the experience of ridding the Aerosmith Rock ‘n’ Roller Coaster. I LOVE roller coasters and this one is simply the best. You ride in the dark and go 0 to 60 mph in 2.8 seconds while Aerosmith’s LoVe In An EleVaToR and WaLK THiS WaY blast in your ears! Since my kids were way too little to go on this ride and we had no one to watch the kids while my husband and I went on the ride. I did the only thing that made sense. I WENT ON THE RIDE ALL BY MYSELF. I walked up the single riders line and was on the ride within 5 minutes. As like each time I’ve gone on the Rock ‘n’ Coaster before, my heart was pounding with anticipation as the limousine coaster pulled back and took off into darkness. Turning upside down and sideways with Aerosmith screaming in my ears was exactly what I needed to recharge and refuel. I walked off that ride like a little kid on Christmas morning. OK, so the ride only lasts 1 minute and 22 seconds, but it was 1 minute and 22 seconds ALL TO MYSELF! There was no fighting over who was going to sit next to Mommy, no crying when “World of tears Abby” was too short to go on the ride when Nicholas made the cut, it was just me and around these parts that is a ReAlLy rare thing! I think there may have been a little skip in my step when I met my husband and kids waiting for me and when the next little crisis broke out…this Mommy was ready to take it on! I realize that I can’t jump on a roller coaster every time I need to get some perspective, but this entire experience made me realize that it is the smallest and silliest things that can turn your day or summer in my case around. If you feel like you are overwhelmed with something whether it be your kids, family, work, etc. take a break and do something that makes you happy. Get your nails done, go shopping, grab coffee with a girlfriend. It might be just what you need! *Or you can click on this YouTube video I found that someone made of the Aerosmith Rock ‘n’ Roller Coaster. It pretty much details my entire ride except they had a different music selection…still great though! Experience the Rock ‘n’ Coaster! Love it, Robyn! Thanks so much for sharing this! It is what I needed to kick-start my day! THANKS! !